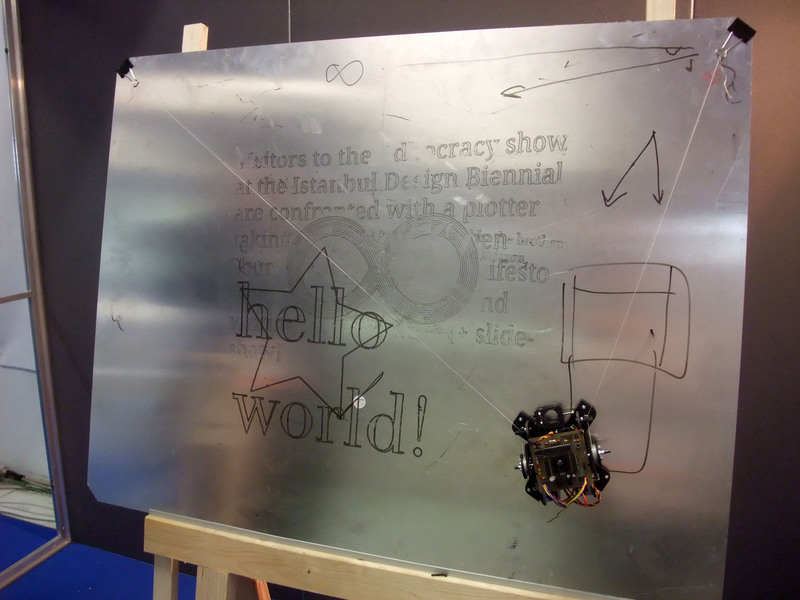 The awesome hatch-style, drawbot BLACKSTRIPES goes open source! Both models (cross hatch MK1 and spiral, MK2) are available. Anybody else interested in making one? If so, which one? I like the MK1. I just got back from traveling, and on the trip I saw an original piece by Ralph Matheson. It was the most layered, intricate spirograph/guilloche art I've ever seen. 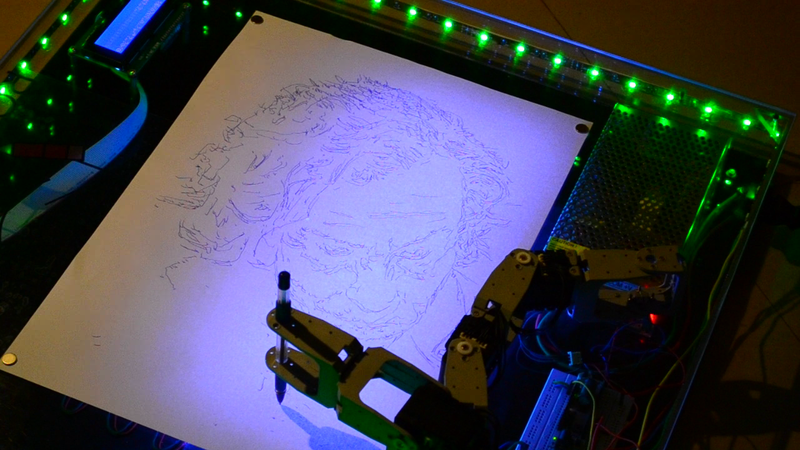 Unfortunately, the examples I've found online are too low res to show how amazingly complex his stuff is. I was told it's done "on a computer". Since he's an architect with coding skills, and has been at it for a while, I'm going to guess he has a plotter. I don't know what the piece I saw was drawn with, but it was layer after layer of very fine lines, like ballpoint pen. 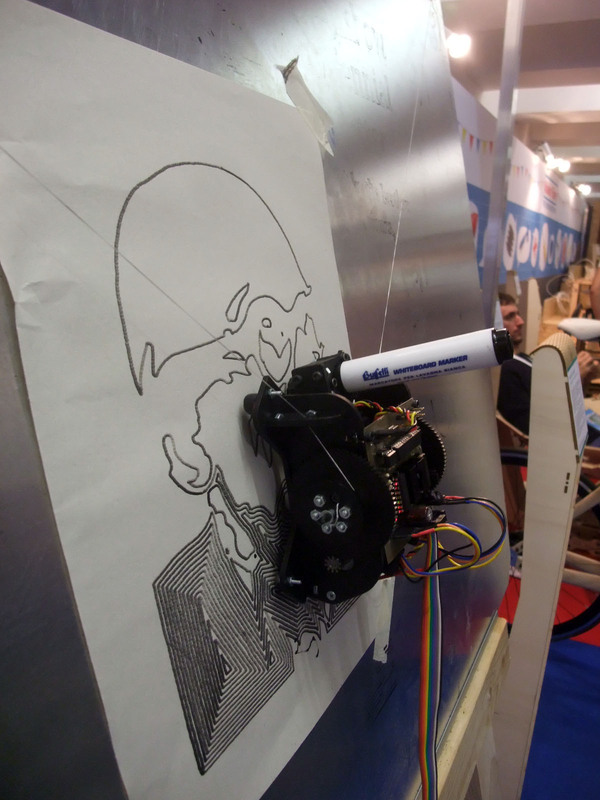 Anyone know more about this one from 2013 Maker Faire Rome? All the action is on the gondola -- cool stuff. 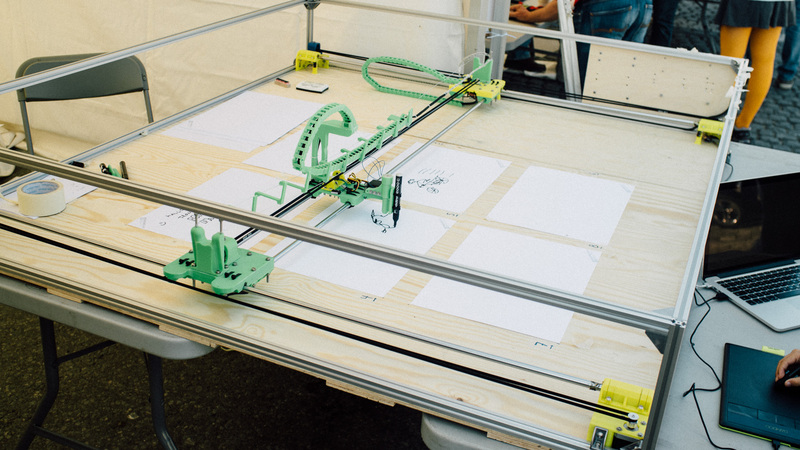 As the name suggests, more a printer than a drawbot, but cool nonetheless. This Gakken machine is complete mechanic which is extra awsome! I'm glad to see you're still checking in, nosetinker. I was afraid you had moved on.